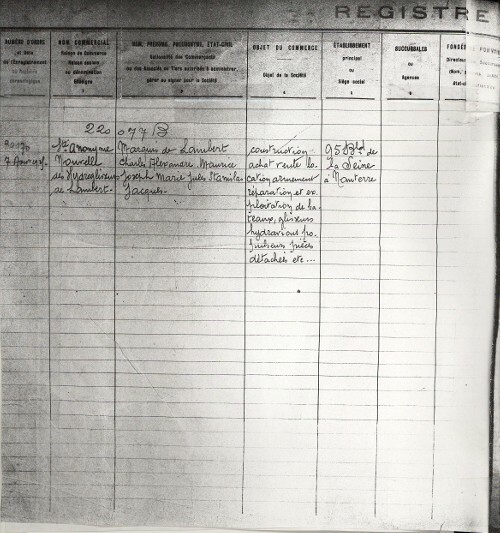 In the same year, during the first world war, the authorities do the right thing by mobilizing Charles de Lambert and his business associate Paul Tissandier in order to supply the Allies with materials. De Lambert proposes the army an ‘auto-mitrailleuse’, a military armoured vehicle equipped with a machine-gun. These ‘warlike deeds’ make Charles de Lambert bearer of the War Cross 1914-1918. About 1915 business was done under the trade name Sté. des BATEAUX GLISSEURS de LAMBERT. 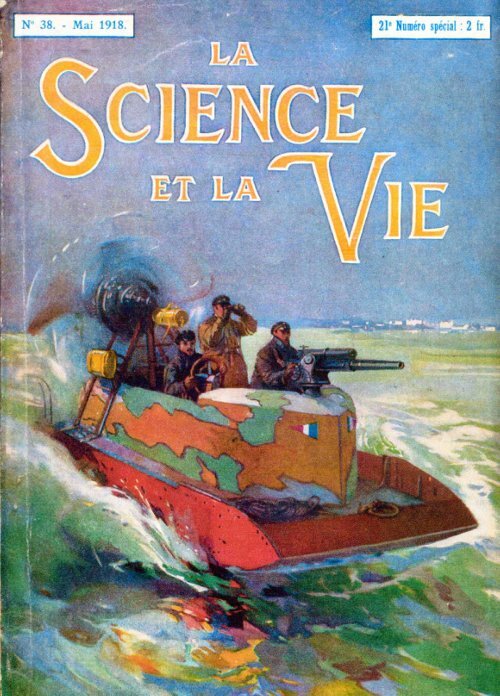 In order to exploit his invention, ‘the automobile of the rivers’, Charles de Lambert started in 1918 the ‘Société anonyme des Hydroglisseurs de Lambert’ with a capital of 600.000 F’, with headquarters on Boulevard de la Seine 95 in Nanterre. There, on the bank of the Seine, his workshops have been established too. 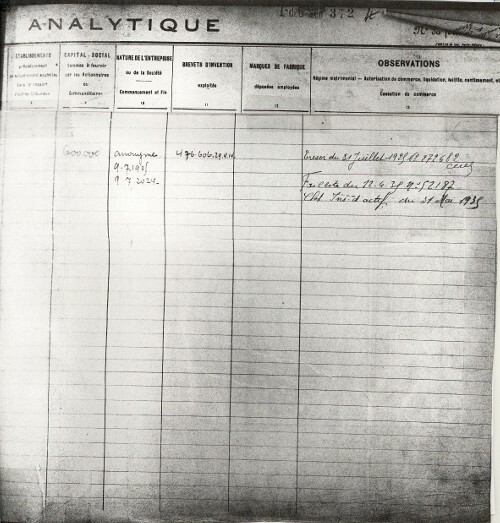 The company has been registered in the records of patents of the years 1920 until 1934 and in the records of local taxes of Nanterre from 1919 until 1934. It pays taxes for some thirty workmen.